At Canine Country Club in Elko, we take great pride in our facility to provide a great stay for your animals. 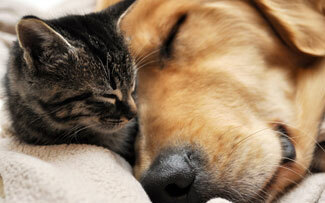 We provide boarding, pet daycare, vacation stay for both dogs and cats. We know that all pets are not the same so we have multiple offerings for your pets. With these options we can get your pets to play and interact with the other animals at Canine Country Club in Elko, MN. Party Paws - For the young ambitious ones. They are full of energy and want to play. Waggity Woodlands - For the social dogs, who enjoy a good party, but need time out to rest. Senior Serenity - They enjoy the peace and quiet. A little warmer, a little softer beds, a little soft music. Doggie Den - Inside play area for your pets on the bad weather days! The Cat Cottage - Where the felines rule. Here your cat can enjoy birdwatching, cat naps, tower climbing, post scratching, and some mellow music.